The aluminum CO2 model comes from the Russian brand Cold Metal. 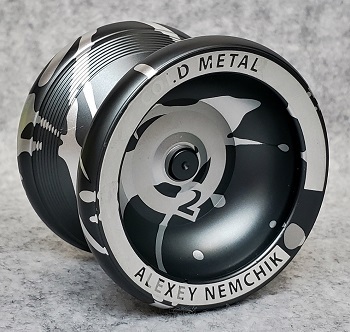 It is the signature yo-yo of the 2011-2012 Russian 5A champion Alexey Nemchik?. Uses a size C concave ball bearing axle and Aero-Yo Pads for response.